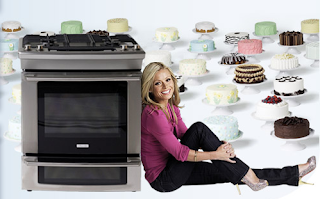 Kelly Ripa has been named new spokesperson for Electrolux kitchen appliances in conjunction with the Ovarian Cancer Research Foundation. The mom of 3 has teamed up with the appliance giant to raise money and awareness about Ovarian Cancer. 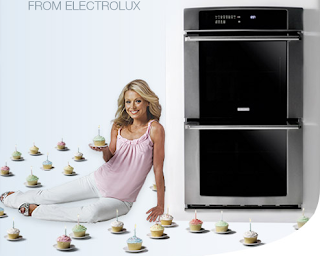 Electrolux will join Kelly in supporting the OCRF through a series of online promotions and through a portion of sales on select retail appliances. We plan to raise more than $500,000 over the next two years. Electrolux will make a $1 donation (with a minimum of $40,000 and a maximum of $45,000) to the OCRF (www.ocrf.org) for every eligible person who registers to play. Kelly does a couple cute video ads and their kitchen gear is really nice. Note to hubby: I would cook far more if I had that cook top and matching oven! Kelly Ripa Steps Out With Her Boys! For getting the word out about Electrolux kitchen appliances and kelleysbags.com raising money and awareness for/about Ovarian Cancer. Four & half years and I’m still going! Ok , not as good as the bunny, but going.